Click a logo to view online product catalogs or contact us for assistance and to purchase. Browse our online suppliers above. Contact us with supplier, product(s), item #(s) and quantity to order. 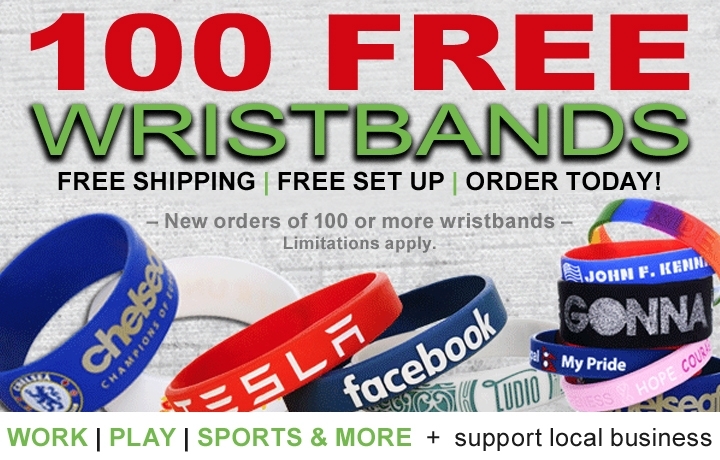 FREE Wristbands, Shipping and Set Up! Custom Silicone Wristbands! Purchase 100 or more and get 100 FREE. Debossed, Embossed, Color Filled, Printed, Layered, Glow in the Dark and Swirl. Available in 1/2", 3/4" and 1" widths for Adults, Youths and Toddlers. $20 Digital proof.